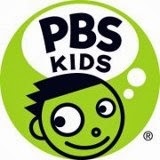 SARAH'S BLOG OF FUN: PBS Kids Now Offers Their Games In Spanish!! PBS Kids Now Offers Their Games In Spanish!! ¡Buenas noticias! PBS KIDS is excited to announce more than 25 PBS KIDS games are now available in Spanish. Join the Cat in the Hat, Curious George and Sid the Science Kid for fun games and stickers en español. measuring (temperature, weight, and size), sorting, symmetry, addition, and finding patterns. Help the Cat in the Hat collect the missing pages of his Animal Safari Book. You’ll have to use shape recognition and spatial skills, counting, and measurement. The games are all enhanced with researched-based improvements to level selection and instructions. For ESL students or children learning Spanish, kids will learn math skills that will benefit them not only at home, but also in the classroom. The games are part of the Ready To Learn Initiative, an early learning project of PBS KIDS and the Corporation for Public Broadcasting (CPB), funded by the U.S. Department of Education to support the development of early math and literacy skills in children ages 2-8, especially those from low-income families. You can check out all of PBS KIDS online games in Spanish at pbskids.org/games/spanish.html Additional games in Spanish are also available there, including Spanish language-learning games from web-original series Oh Noah!